It’s August 9th, and today marks the National Book Lovers day. Many of our very own Fuzzable writers are indeed massive bookworms, so we decided to speak to a few of them and ask them about their favourite works and why they love them. Niki chose “Where Rainbows End” (or now known as “Love, Rosie”) by Cecelia Ahern. “It’s about two best friends Alex and Rosie. Alex is a smart boy, good looking and charming. Rosie is beautiful but a little clumsy. They were best friends from the age of 5 and were the most important people to eachother. Everybody including themselves know they belong together, but life, 5000 miles and other people keep getting in the way. “The Breed have been living amongst humans for many years, ruled over by a fearsome group of warriors named The Order, who carry out justice to those vampires who break their laws. However, a blood war is raging their way, vampires are going Rogue in huge numbers; attacking, feeding, and killing humans. The Order has to put a stop to this but as we follow each warrior story, a human female comes into their lives who has a “teardrop falling into a crescent moon” birthmark on them that signals that they’re a breed mate. Love conquers but it also gets in the way. Can The Order fall in love whilst dealing with this major problem heading their way? “Violet and Finch are two people who found each other at the edge of a bell tower. Both of them are exactly what the other needed, and their worlds turned upside down the very second that they stepped off. Later they became partners for a class project, focusing on finding the “natural wonders” in their environment. As they go thought this journey together they find out a lot about each other, but also themselves. Violet learns to see the beauty in the things around her, learns how important it is to give back, and to live life to the fullest. Finch learns that not all is bad in the world, that there is such a thing as a ‘perfect day’, and that Violet makes him feel. But is that enough? 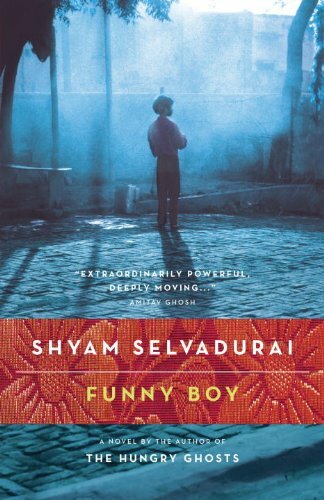 “Set at the backdrop of political tussle between Tamil and Sinhalese, Funny Boy is a bildungsroman for the male protagonist who throughout the story discovers things about himself both in terms his ethnicity and his sexuality. It is a diasporic work that talks about double standards of otherwise liberal Sri Lanka from a child’s point of view. I like this novel because of its spatial descriptions, character building and its sheer simplicity to explain bigotry of patriarchal society. “Yeong Hye seems fine to her husband until the day she turns ‘vegetarian’. Via a nightmare, Hye develops extreme loathing for meat, which becomes problematic to people around her. 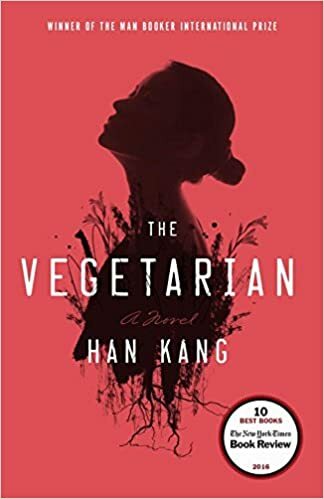 The novella talks about how women are portrayed in South Korean society and on the other hand, it shows the sorry condition of person suffering from anorexia. So, which of these have you added on your TBR list? Follow us on Fuzzable for more!